Adam's Antics » TOUCHDOWN ON MARS!!!!!! Congratulations to NASA and JPL for a successful landing of the MARS Curiosity rover. What an amazing inspirational moment for humanity! 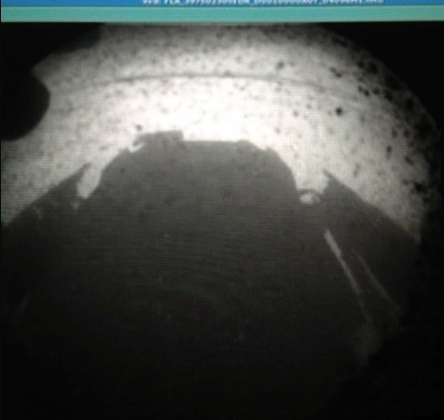 You can see pictures transmitted from the rover here. Photograph © NASA/JPL taken on MARS. (No I did not take it).